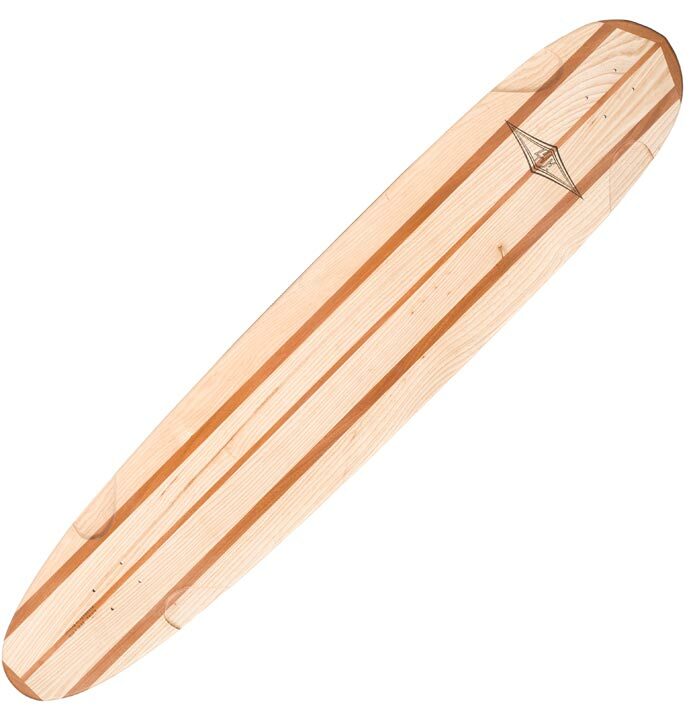 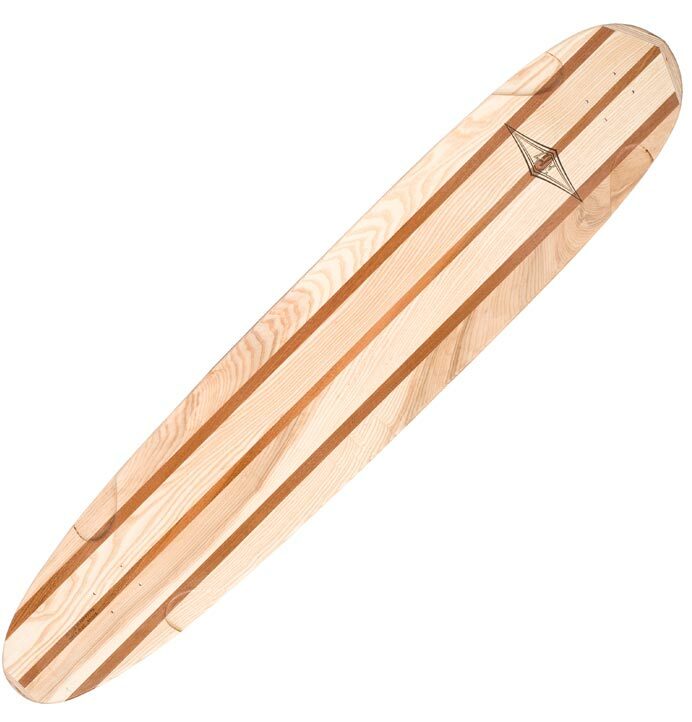 Lush "Kisiwa" Longboard | Nose Rider | Surf Training | 58" x 11"
Our classic giant pintail longboard is back! 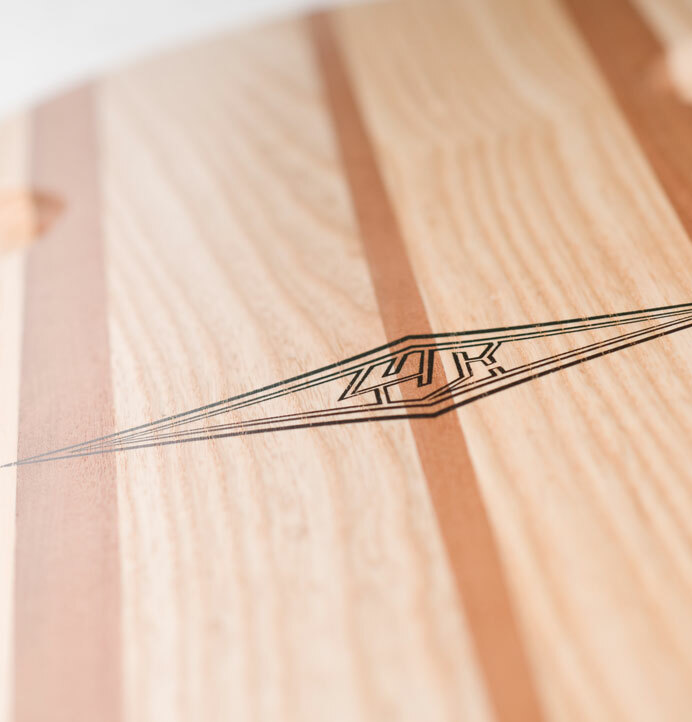 A name that goes right back to our early days, the Kisiwa is a huge “mal” shape longboard skateboard, built to cruise, carve and cross-step with style. 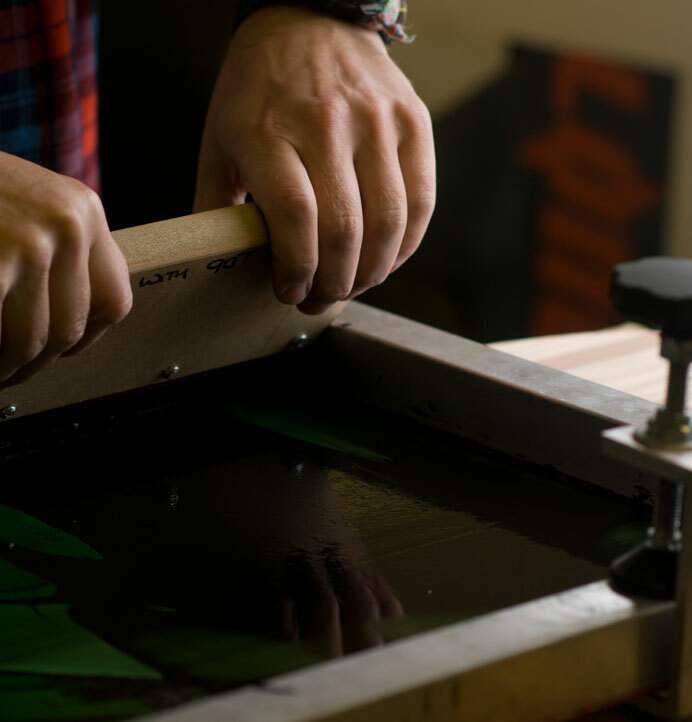 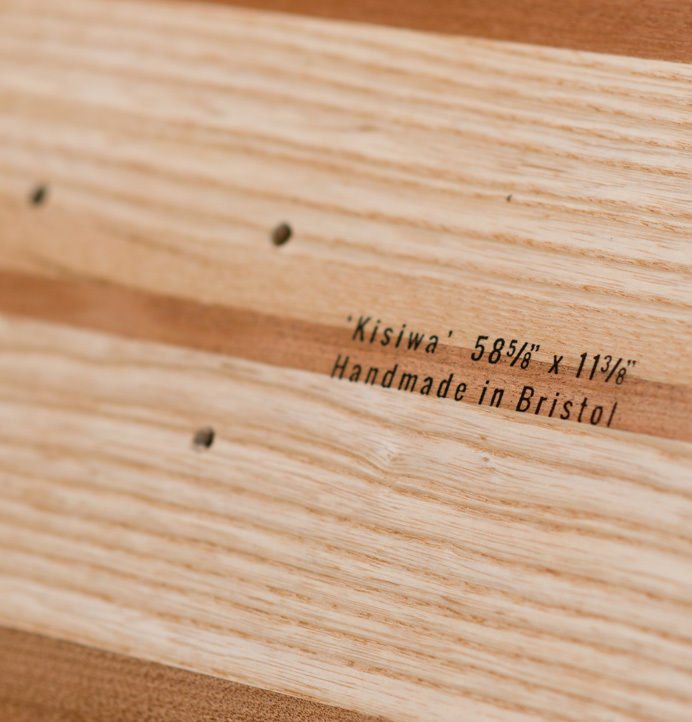 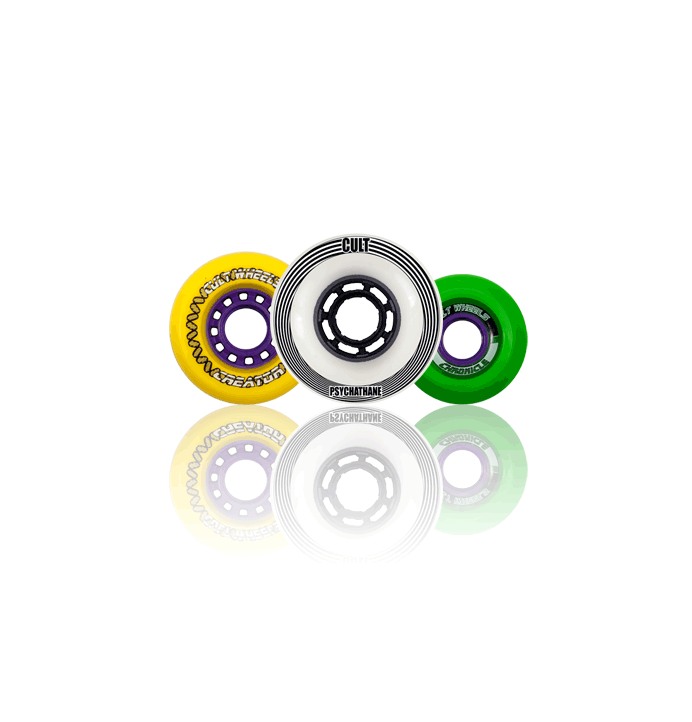 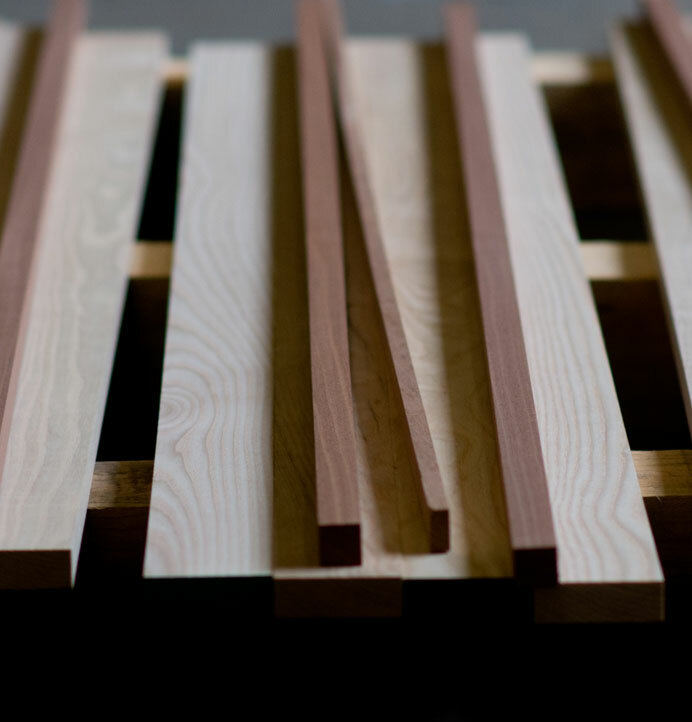 Built entirely by hand right here in Bristol, each Kisiwa is glued, pressed, shaped, screened and finished by skaters. 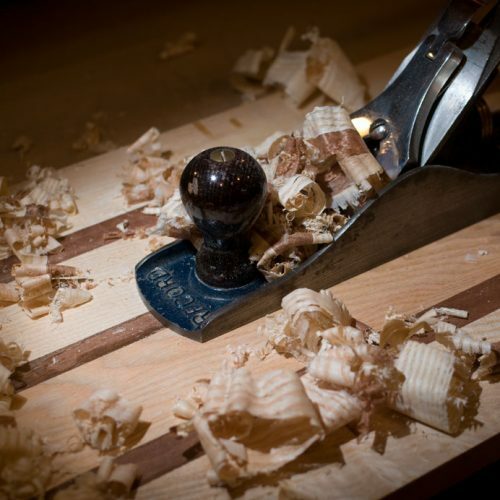 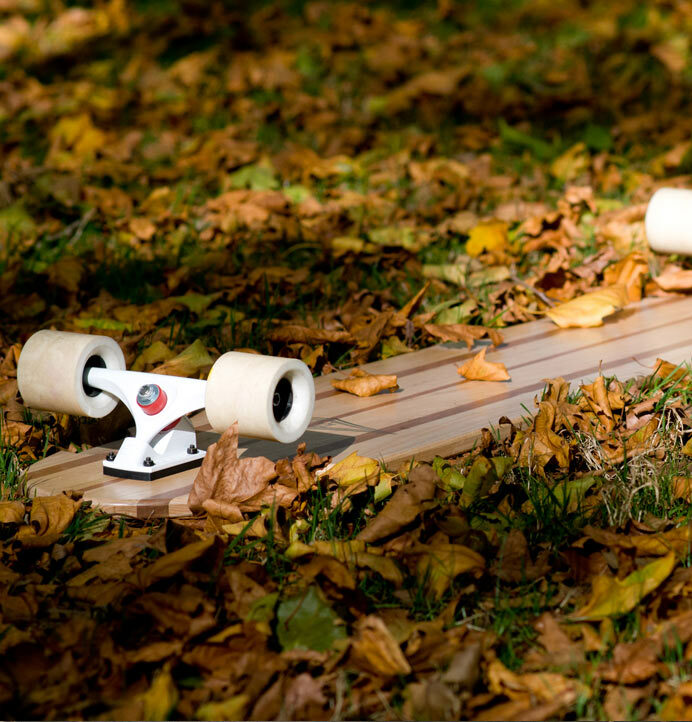 Every board is it’s own story… learn more here. 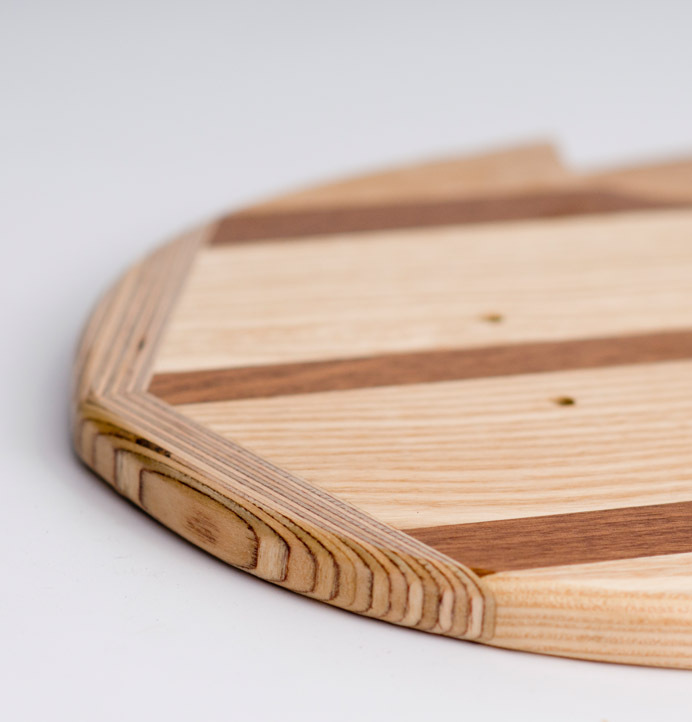 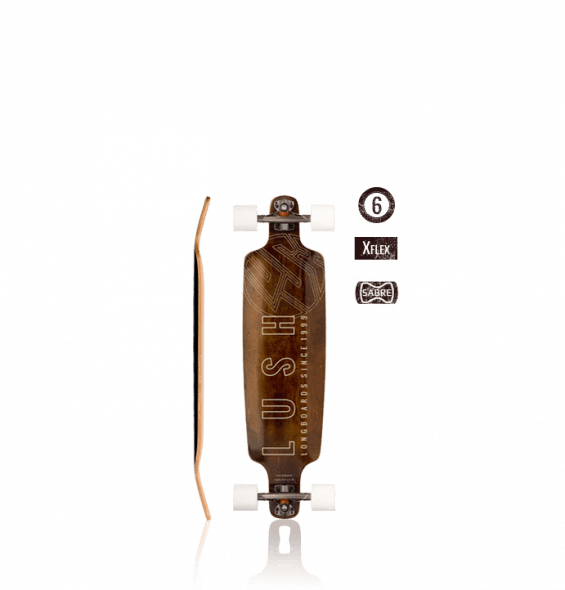 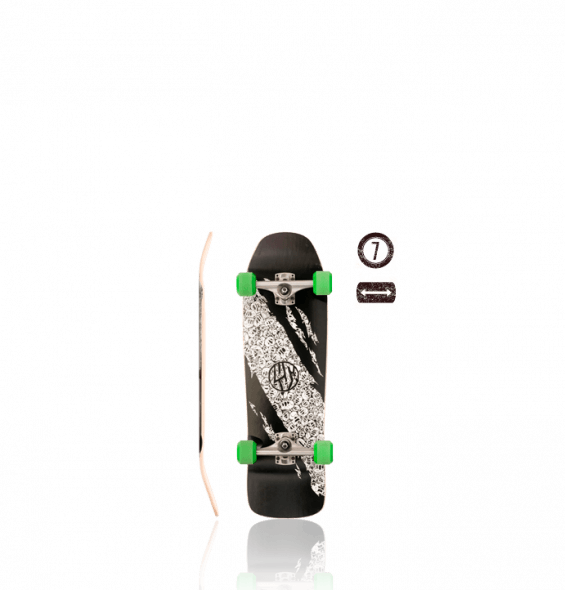 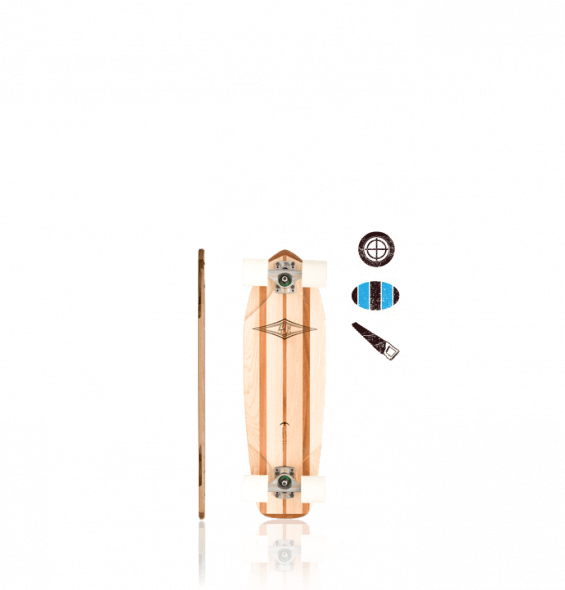 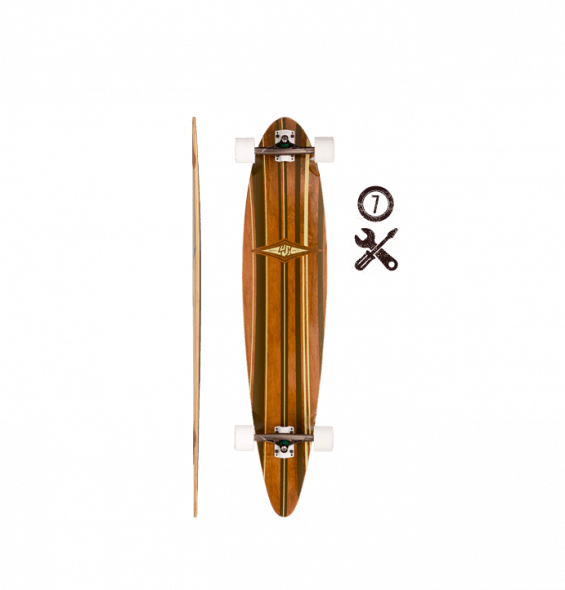 The Kisiwa is, very simply, an enourmous pintail longboard shape. 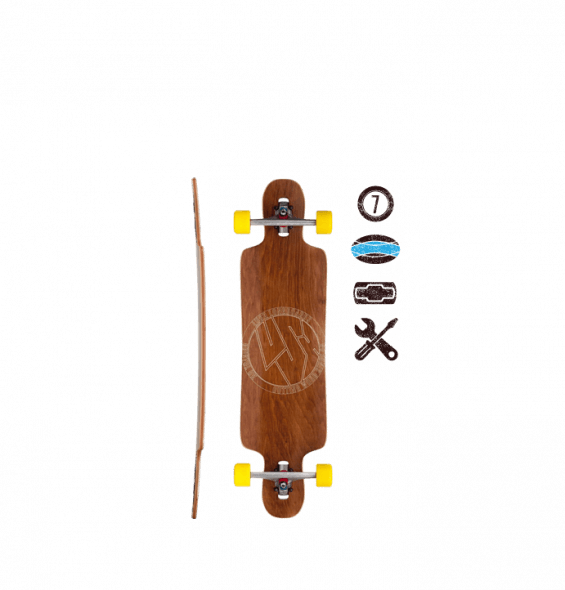 With tons of deck space, cross-stepping, spinners, nose rides and drop-knee turns are super easy and fun. 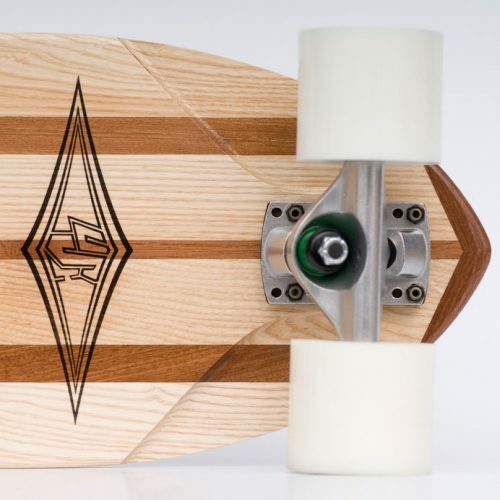 Each deck has extra-large wheel wells cut in to avoid wheelbite, although we’d suggest keeping the wheel size below 75mm to keep the ride height sensible. 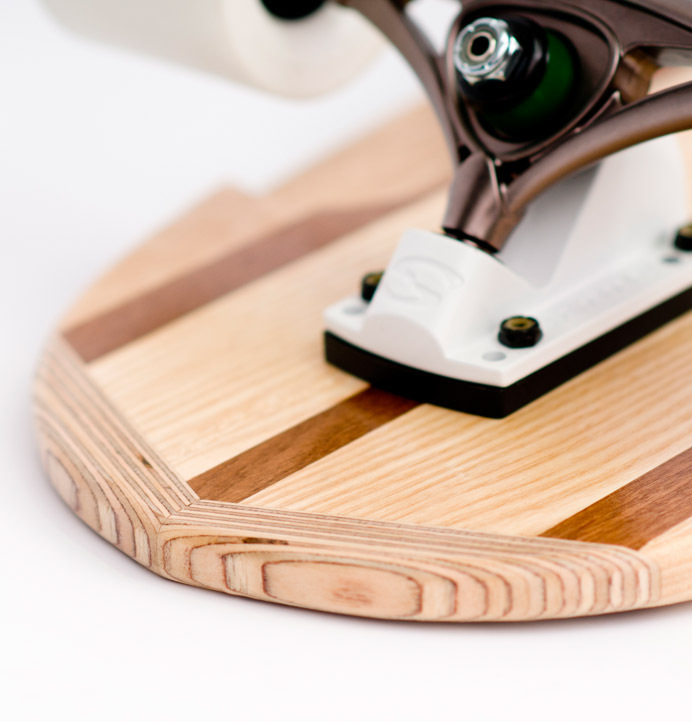 We’re pressing these decks individually in Bristol using a vertical lamination technique. 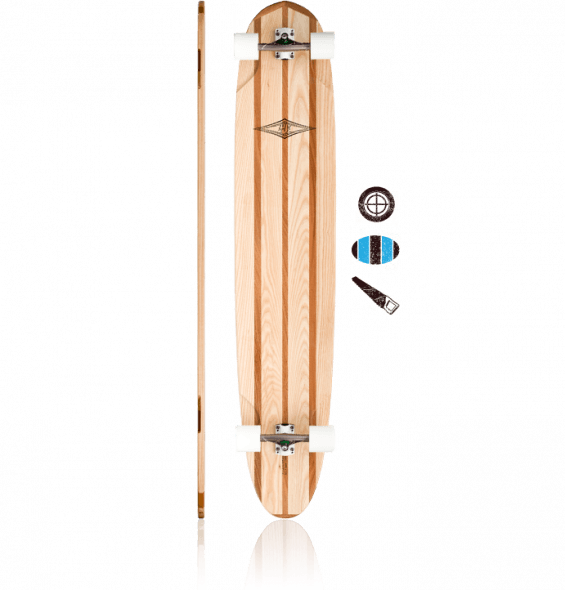 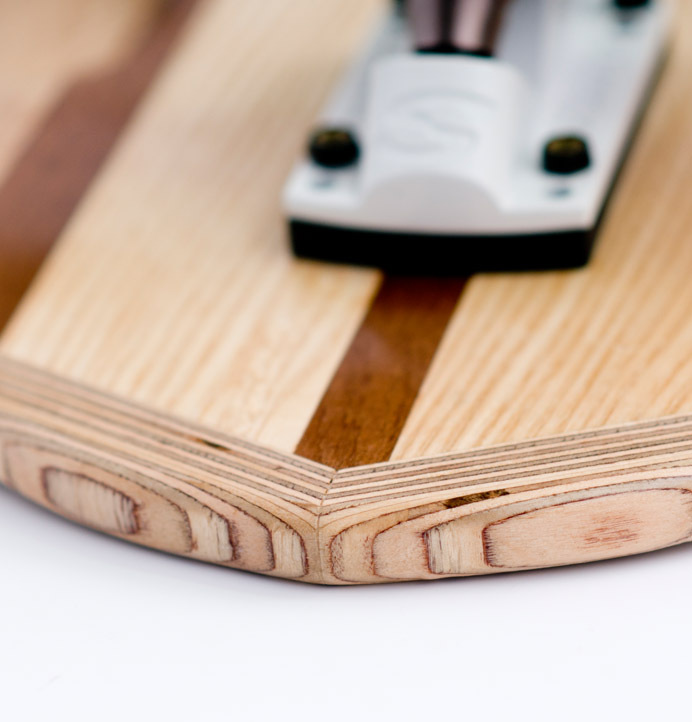 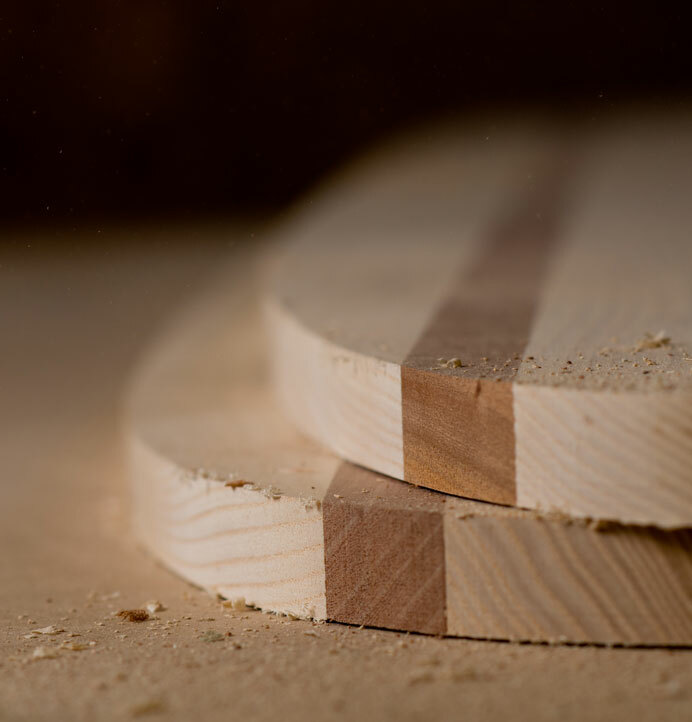 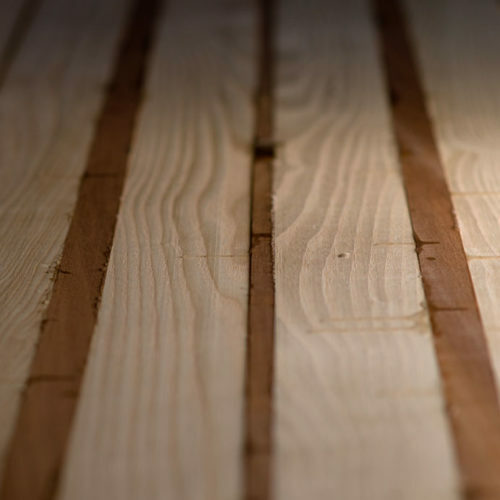 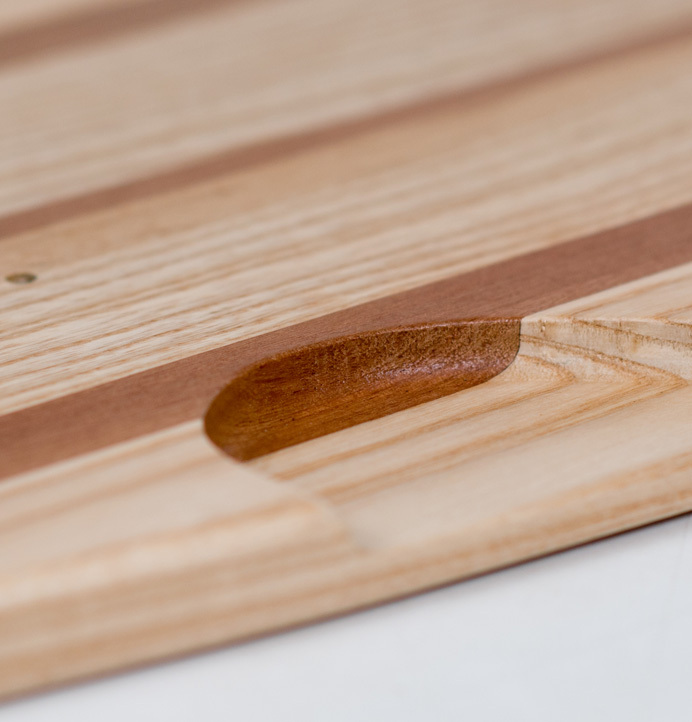 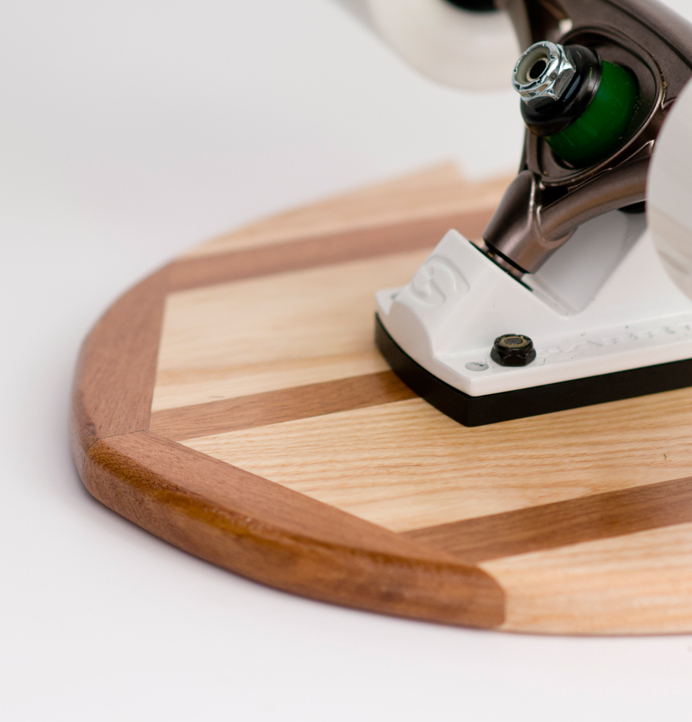 A combination of hardwood stringers creates a smooth ride with a beautiful natural flex. 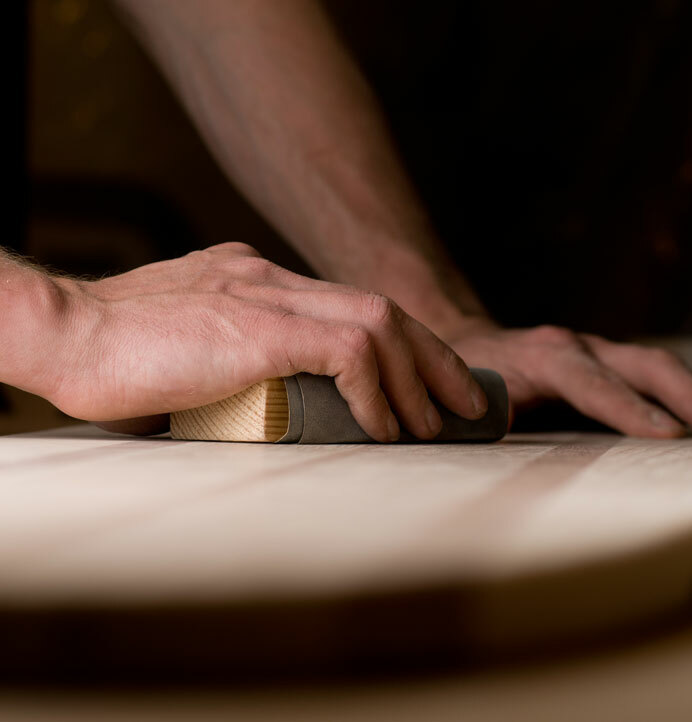 Once the main blank is glued and roughcut, we laminate in nose and tail blocks for an extra surfy touch. 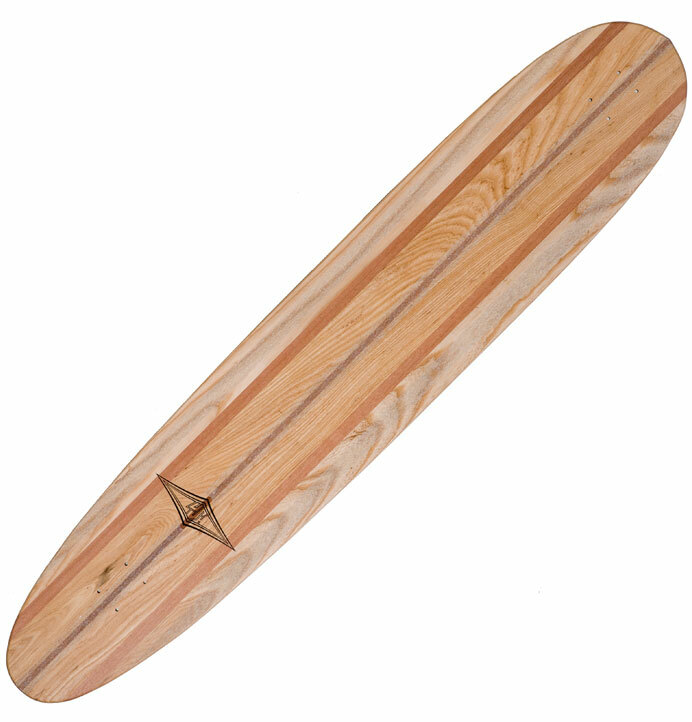 The Kisiwa is totally flat, with no concave whatsoever. 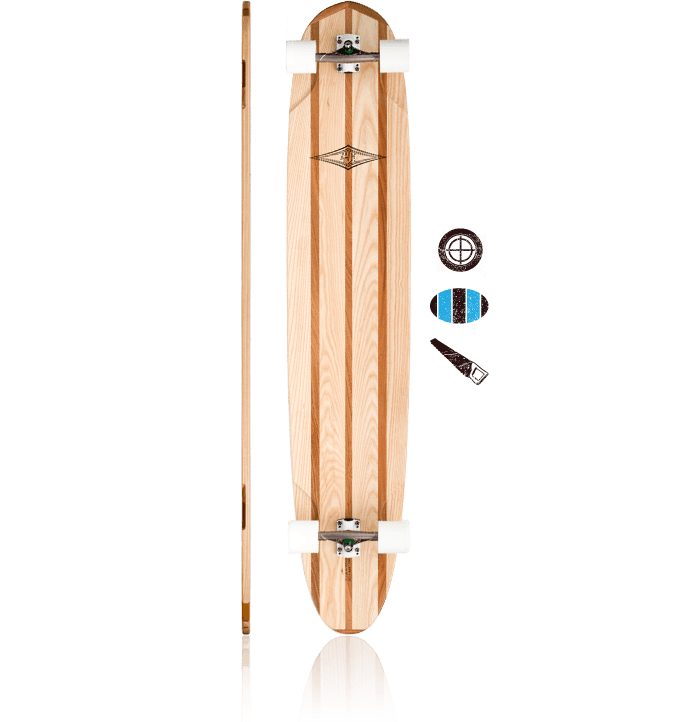 This makes it a very comfortable cruiser, even barefoot. 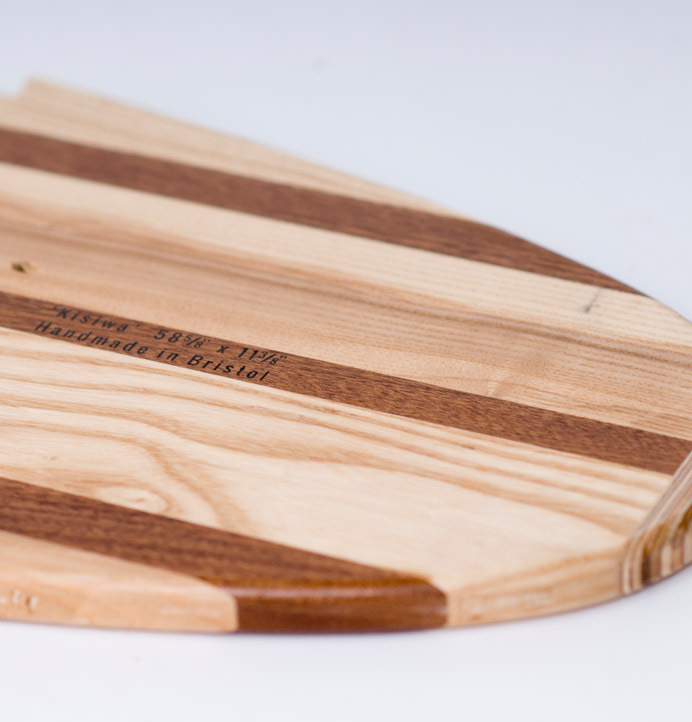 As this board is almost 5 feet long and nearly 5/8 inch thick from solid hardwood, it isn’t light! 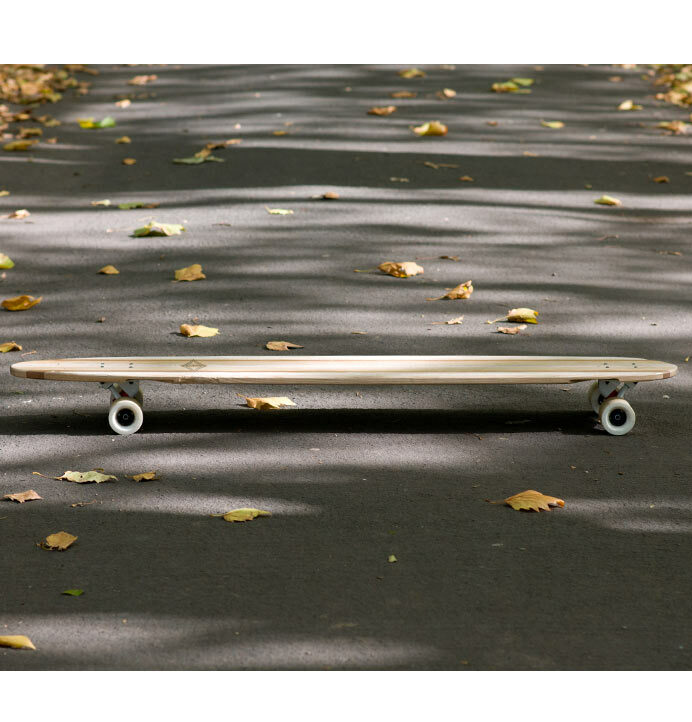 Once you get rolling though, all that wood makes for a sure, smooth ride over anything with tons of momentum and rolling speed. 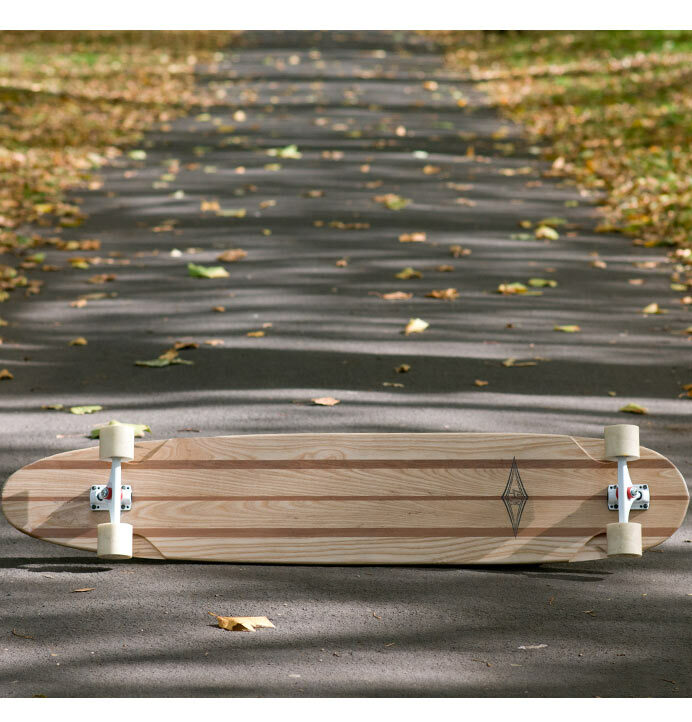 The Kisiwa’s flat profile, width and length make it an ideal tool for longboard surfers to practise and improve cross stepping, nose riding, backpedalling and general balance. 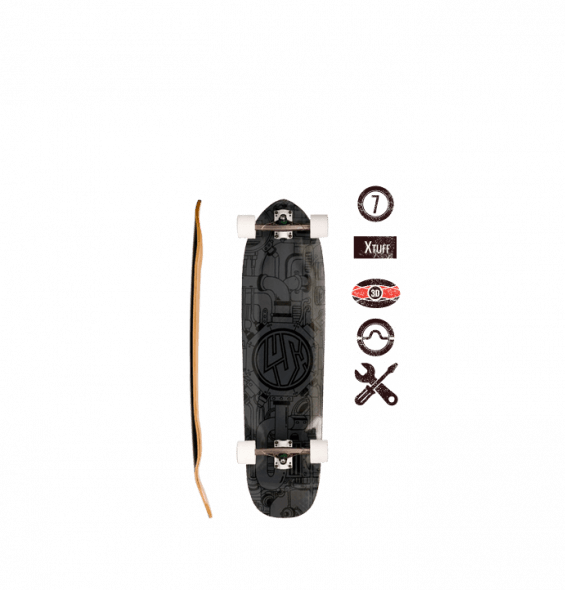 When skating it doesn’t really feel that much shorter than your 9ft+ longboard surfboard, but you’ll find that the smaller length and width tighten your stance up and help you tidy your footwork when the waves are flat. 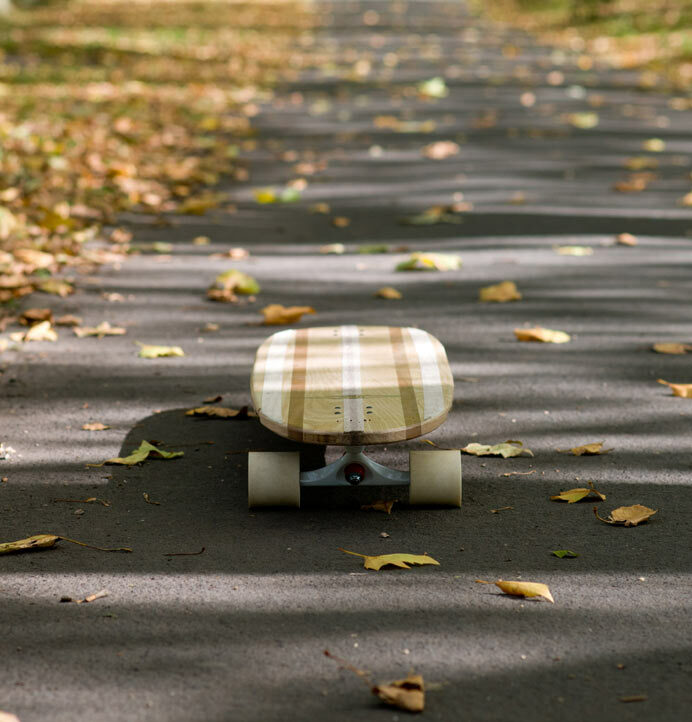 If you can cross-step on a longboard skateboard, then you’ll find it way easier on your longboard surfboard! 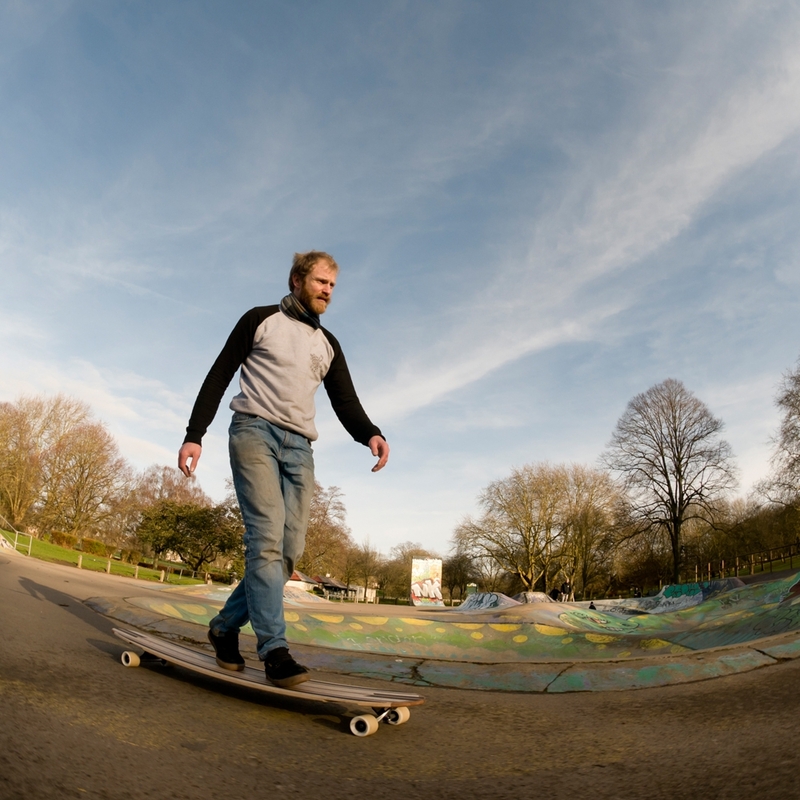 Skateboards and surfboards have a lot in common in terms of nose-to-tail and rail-to-rail movement, so you’ll find it much easier to get a feel for stepping back from the nose whilst dealing with a turning, tipping deck under your feet. 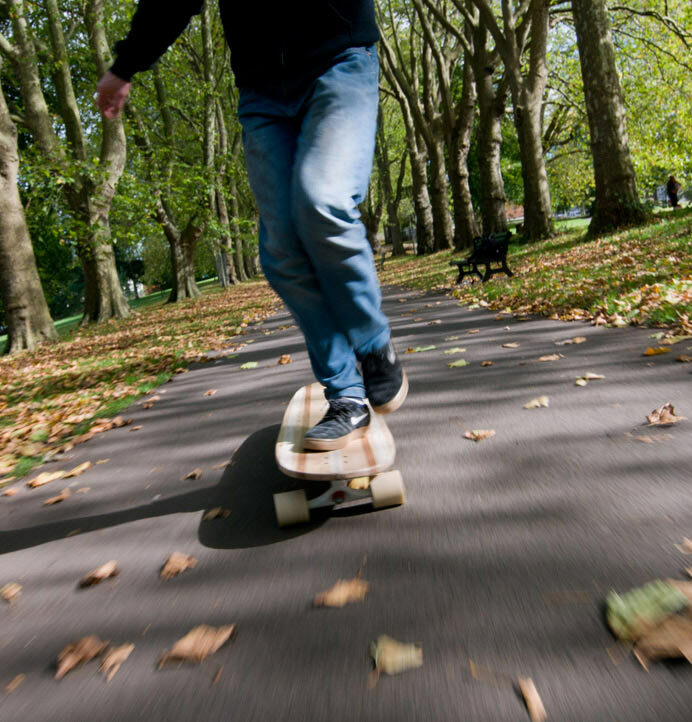 Walking up and back for a nose ride will be a doddle with a bit of practice. 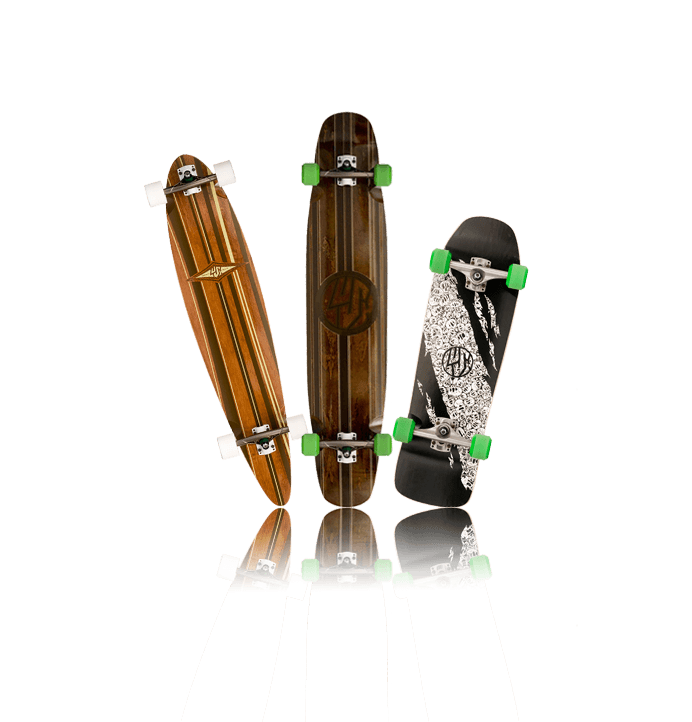 You’ll also find that the classic longboard nose wheelie has a lot in common with a hang five nose ride on your surfboard. 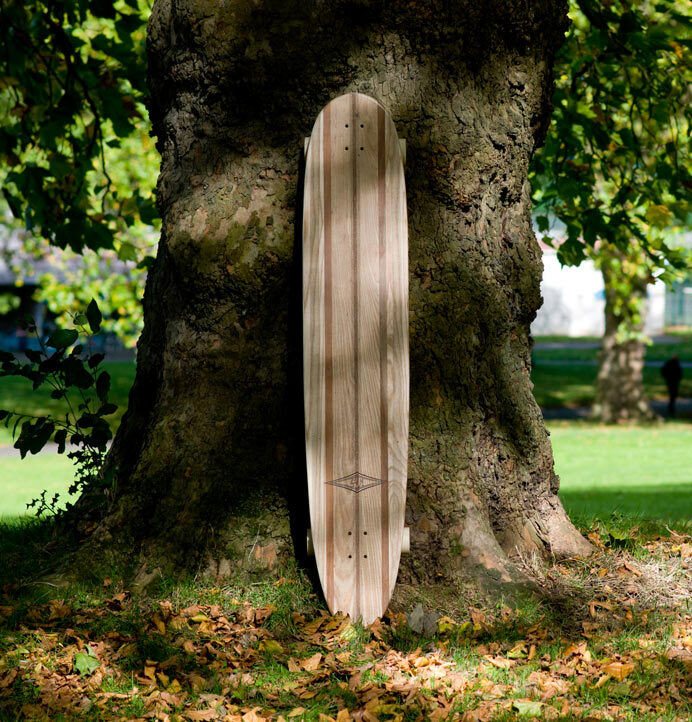 The Kisiwa is the longest longboard we make – it’s not really like anything else out there right now. 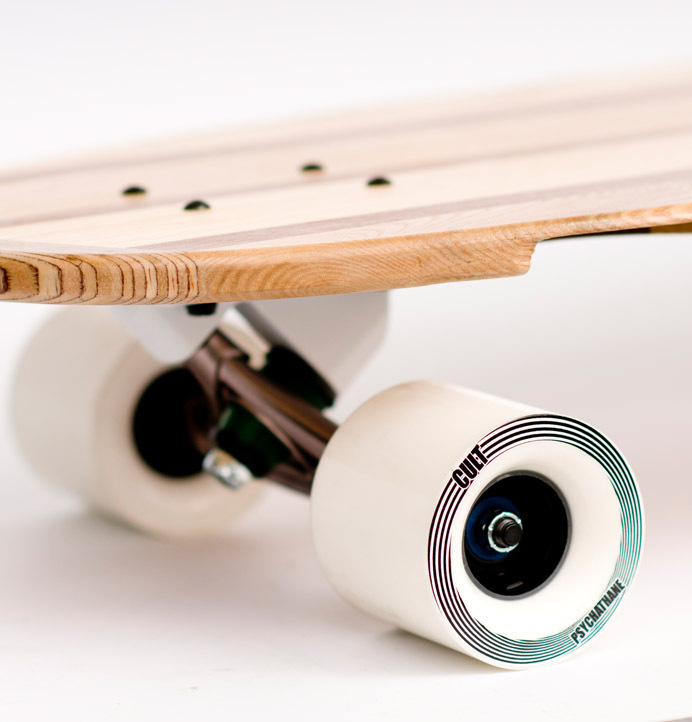 You will definitely be noticed rolling on one of these! 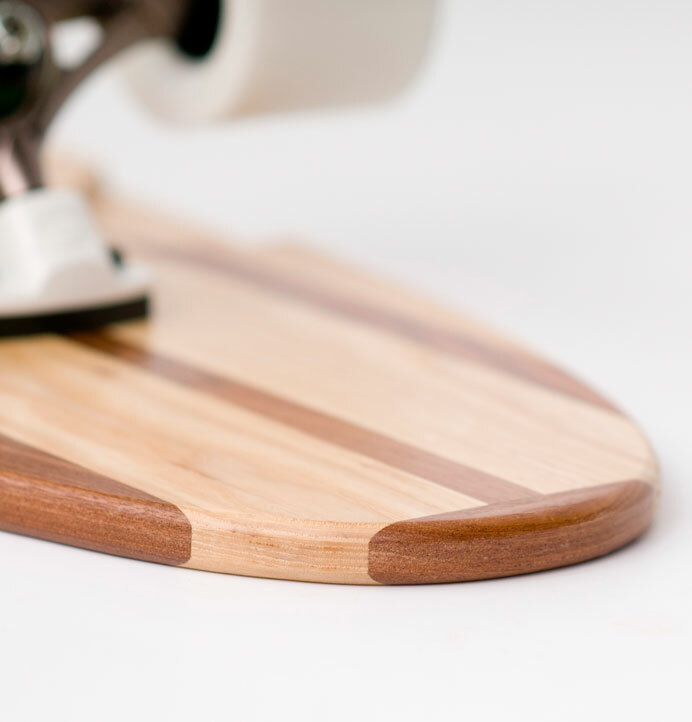 We grip these decks with three one inch wide strips, so you can skate it barefoot no problem. 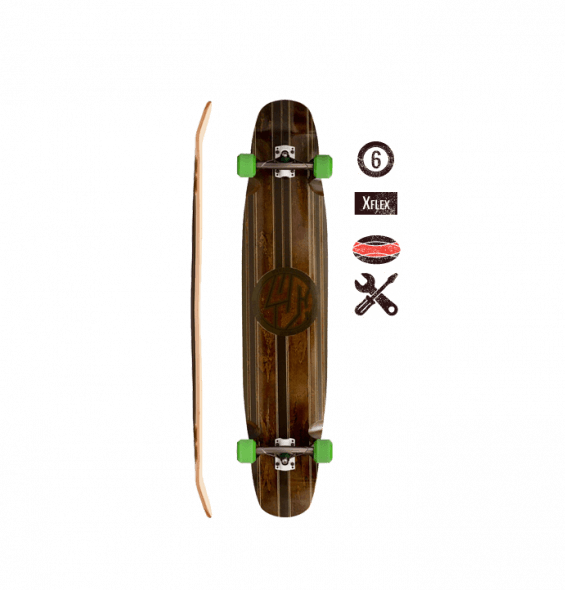 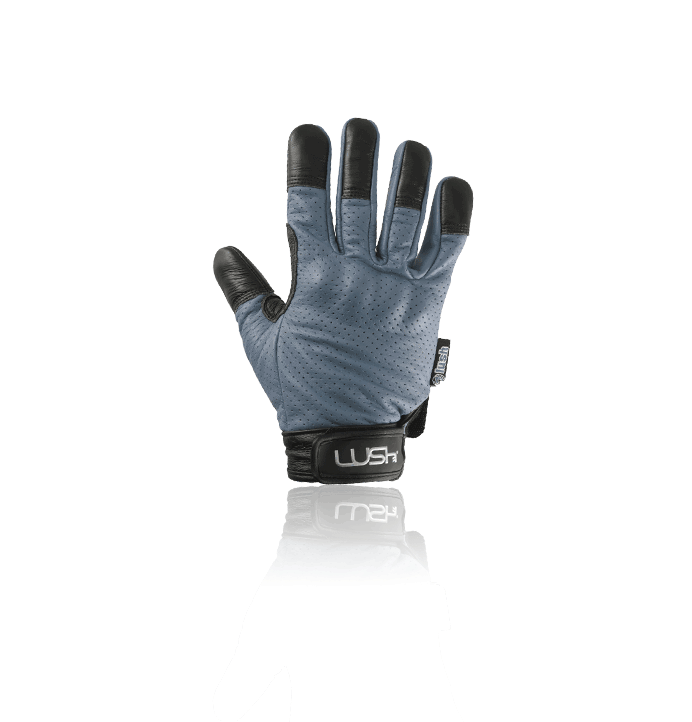 We can ship the Kisiwa ungripped, just get in touch with us when you order and we’ll make it happen. 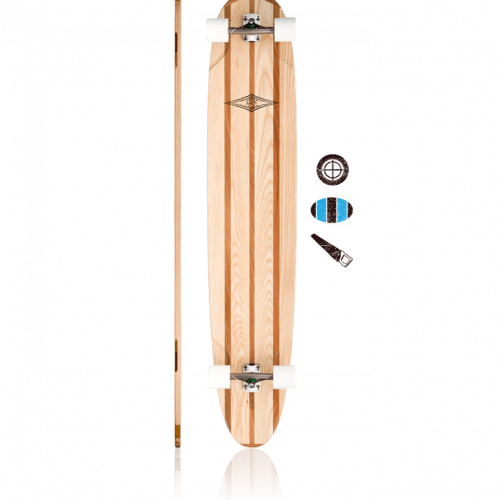 If you want to cruise the seafront in style, you aren’t going to get much better than this.